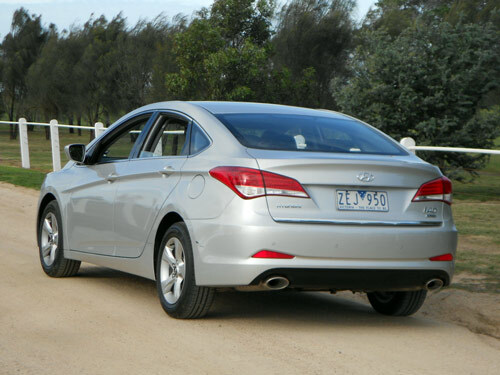 Hyundai's expansive range is now covering more and more of the market. Concentrated on the volume areas of the market, Hyundai has quite a large presence in the light and small car segments. Other segments are gaining in representation too. 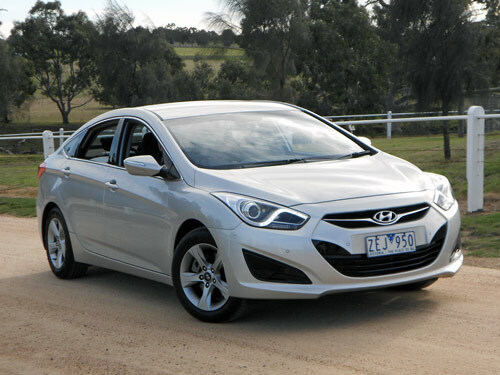 Upcoming models will put Hyundai into even more segments of Australia's highly successful new car market. 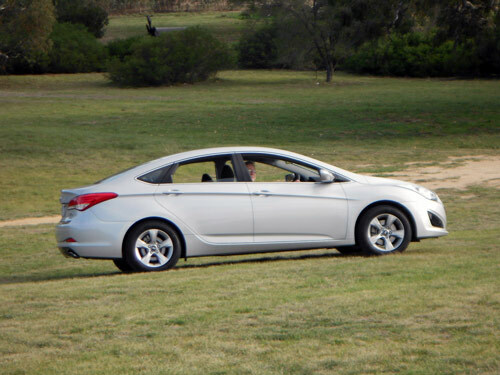 In the highly competitive mid-size segment, the 140 carries the popular Hyundai brand. 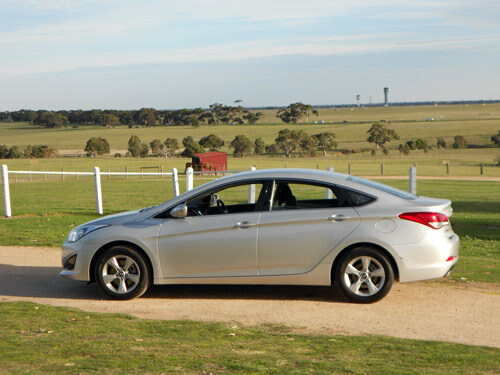 On this occasion, we put the Hyundai i40 sedan to the test in the urban environments of Melbourne. 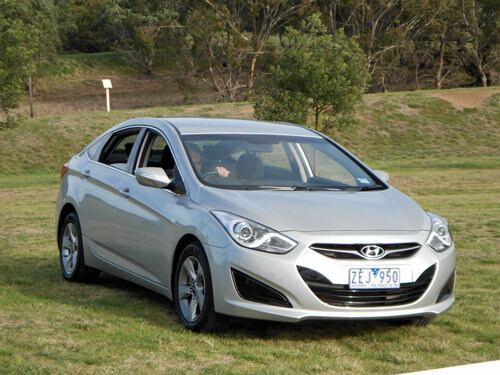 Our test car was a Hyundai i40 Active sedan. This is the base model among the i40. Our test car was fitted the diesel-engine variant teamed with an automatic transmission. When the i40 originally arrived in Australia it was a wagon only offering. 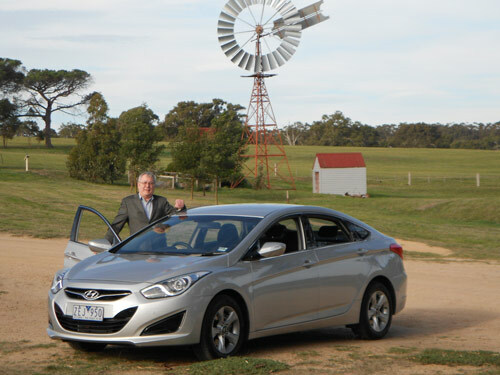 But it didn't take long for Hyundai to realise that the sedan would also be an attractive proposition for Australian buyers. In fact, the i40 sedan now replaces the i45 sedan. The line-up of i40 models has recently been revised. Available in three trim levels (Active, Elite and Premium), each model has the choice between a 2-litre 4-cylinder petrol-fuelled engine or a 1.7-litre diesel power plant. The i40 Active is available with six-speed manual or six-speed automatic transmission. The Elite and Premium versions are available with automatic transmission only. Prices* begin at $29,990* for an i40 Active (petrol/manual) sedan. The test car, an i40 Active sedan (diesel/auto), comes at $34,590* plus $595* for metallic paint, pricing* the test car at $35,185*. Our test car had the 1.7 litre (1,685 cc) four-cylinder engine matched with a six-speed automatic transmission. This proved to be an efficient combination for this mid-size front-wheel drive sedan. The common rail diesel produced 100 kW of power at 4,000 rpm and 320 Nm of torque at 2,000-2,500 rpm. Whilst nothing in respect to the driving dynamics of the i40 excites the driver, it should be noted that it is a willing performer. 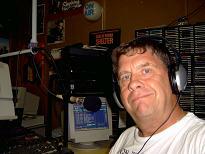 We were happy with the performance of the diesel. Outside the car, you can tell there is a diesel powering the car. Yet on the inside, there wasn't a noise intrusion from the diesel motor. 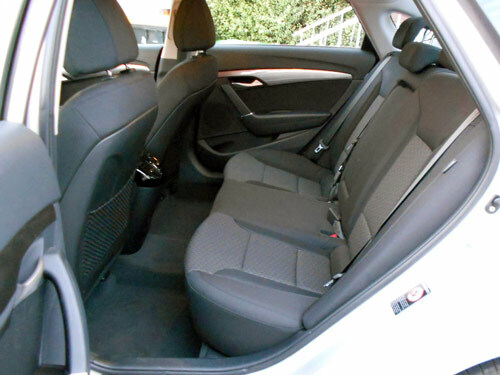 The Hyundai i40 is an easy to manage car. Visibility is good and the driving mannerisms are quite predictable and light in their operation. Whilst not uncomfortable, there is potential to improve the ride a little which could make the car outstanding, in my opinion. No complaints from driver or passengers with this car. The car offers more space than I would have expected. Even our base model test car was adequately equipped for motoring enjoyment. 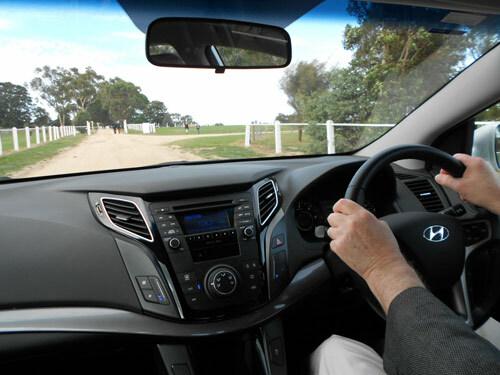 The i40 Active sedan comes standard with height adjustable driver's seat; air conditioning; trip computer; MP3/WMA/CD player, AM/FM radio with 4 speakers and 2 tweeters; AUX/USB audio input with analogue iPod compatibility (check compatibility with your equipment); Bluetooth connectivity; two 12V power outlet; central locking; keyless entry; cruise control; alloy wheels; full size spare wheel; power steering; four-wheel disc brakes; parking sensors; lane-changing signals; and four-way adjustable steering column. An excellent item included in the i40 is the standard electrically operated parking brake. Some cars priced over $100,000 still do not have this superb feature. Well done, Hyundai! Get this! 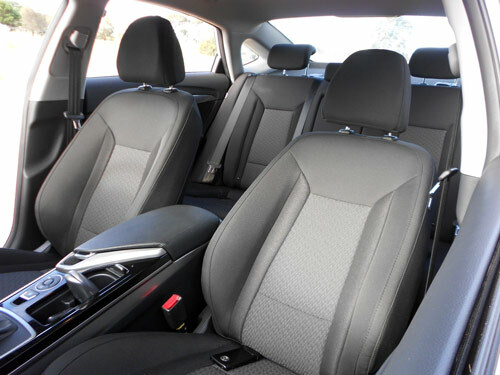 The Hyundai i40 comes with nine airbags. Yes, that's nine airbags. Hyundai is making great steps forward in occupant protection. The nine bags are the traditional six (front, side and curtain on each side) plus a knee bag for the driver and side thorax airbags in the rear compartment for 'outboard' seating positions. Daytime running lamps and 3 child restraint anchors in rear is part of the deal, too. There is also electronic stability control, anti-lock braking system and vehicle stability management. A rear view camera to assist reversing manoeuvres is available as a dealer-installed accessory on the i40 Active. For those who do a high mileage, the diesel offers excellent results. But all owners will be satisfied with the fuel consumption of the i40 diesel. The combined cycle rating for the diesel automatic is 5.6 to 6 l/100 km (depending on variant), this compares quite favourably with the petrol variant's rating of 7.5 to 7.7 litres per 100 kms. During our 345 kilometres of drive time in the Hyundai i40 we managed an average fuel consumption of 7.3 litres per 100 kilometres. We were satisfied with this figure which was obtained from a mix of urban driving including some suburban highway and freeway travel. The urban driving cycle fuel consumption rating is 7.2 to 7.6 litres for the i40 diesel/auto (as opposed to 10.4 to 10.5 l/100 km for the i40 petrol/auto). The fuel tank has the capacity of a handy 70 litres, which will provide an excellent range for long distance drivers. Emissions of CO2 are rated at a reasonable 149 to 159 grammes per 100 kilometres on the combined cycle. An i40 can tow up to 700 kg (unbraked trailer) and 1,500 kg (braked trailer). Weight on the tow ball must not exceed 150kg. There's a five year warranty period, without any mileage restrictions with the i40 (conditions apply). This is a good incentive but there's more. Another feature is 'capped-price' servicing and the roadside assistance can be extended for up to seven years. The stylish Hyundai i40 sedan makes a welcome addition to the Korean brand's local line-up. With competitive pricing, pleasant manners and a reputation that just gets better and better, the value proposition of the i40 will appeal to many buyers in the mid-size segment.